Meet Marvin and share in his journey to wellness! 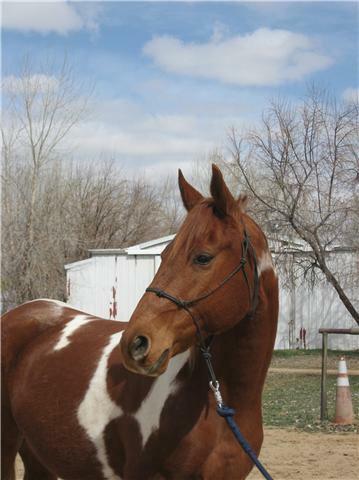 I wanted to give you an update on my paint gelding, Marvin. We live in northeastern Washington State. You had a communication session with us on March 24. What you sensed that was going on in Marvin was that we were not yet quite on top of what he was suffering from. You sensed something was not well in his stomach and or in organs and close proximity. You mentioned that his decline was happening very slowly, in fact the phrase that came to you was’ killing me softly.’ Talk about something being in his system and that his immune system was not kicking in. You noted that he might die if we could not get a handle on it. You also noticed muscle atrophy in his hind end that was making walking difficult. Right after we spoke I put Marvin on a daily regimen of Miracle Clay for two weeks, thinking he might have an ulcer after my continued use of bute. I did yet more research on selenium and started supplementing him with vitamin C and vitamin E. I have him on Dynamite Plus and Dynamite HES, hoping the positive impacts of increased protein and fat would offset the small amount selenium present (selenium toxicity is something Marvin has been struggling with and is also what killed my beloved Stallion, Autograph ). I also rub thieves oil into his navel area almost every day. In the last week I could swear Marvin is actually putting on a little weight and moving a little bit easier. The light in his eyes is a little brighter. 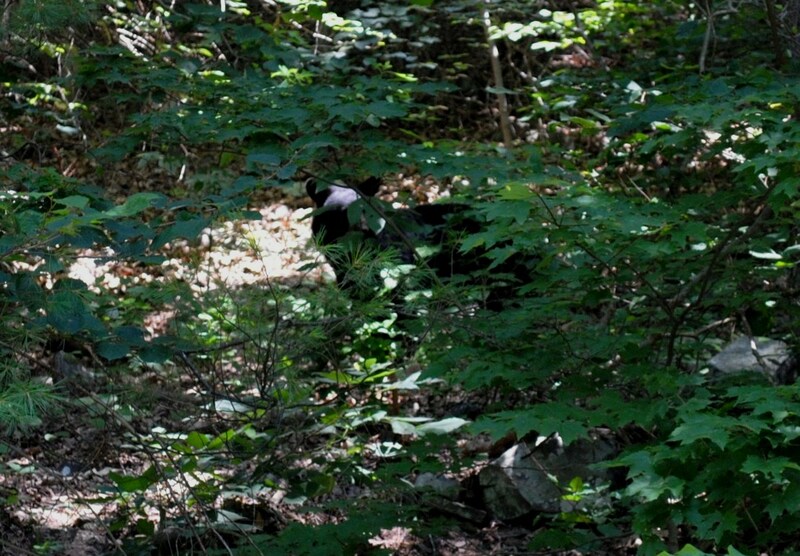 Yesterday I walked him one third of a mile to my neighbors and put him in their pasture. After introducing him to their gelding Sam across the fence we put them out together. They took to each other immediately and started munching side-by-side. Today when I went up to see Marvin both of them were lying sprawled out in the sun next to each other, soaking up the rays. When Marvin got up he strode toward me as though nothing had ever been wrong. Anything that was off in his movement was barely perceptible… But then I might have just been so excited I didn’t notice! Thank you so much for your guidance. You are a blessing! UPDATE: Marvin has improved dramatically, at least by all outward measures. His ribs no longer show, he has shed out beautifully, his feet are strong and healthy, and he strides with great purpose and only a slight hint of what I believe to be arthritis. A far cry from when he could barely move and there was distress in his eyes just a few months ago. And he is expressing his old ‘attitude’ too, slightly bossy but not at all intrusive. Just wants me to know he is THERE! I love seeing that again. I have so much hope! 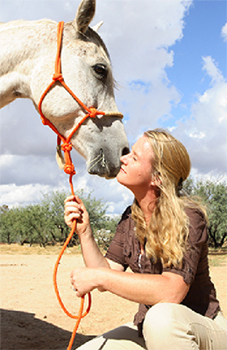 This is a rare opportunity to join Anna for an in-depth Animal Communication Week while staying in your choice of one of the most exciting, legendary environments of the American Old West. 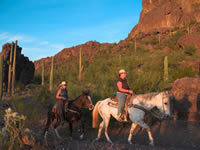 best horseback riding the world has to offer. 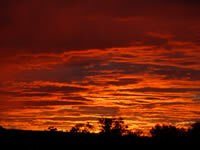 Watch the sun rise and set over the most spectacular desert scenery you will ever see. Then, in the evening, after a fun-filled day, relax in your cabin while listening to the coyotes calling in the distance. All if this while Anna takes you on a journey into the world of animal communication. Take this special time, learn to listen to nature, to its messages and lessons. Learn to hear the whispers of the animals. Sunday: Arrive in the afternoon. 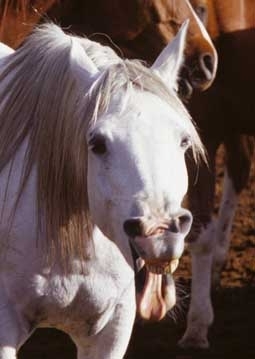 Click here to see the 2009 White Stallion Ranch Animal Communication Retreat Slide Show. Space is limited so register for your favorite location today! in the ranch activities has been a perfect match. Cost is for a Sunday, October 31st arrival through to a Sunday, November 7th departure and includes airport transfers from the Tucson Airport. Price is per participant, based on double occupancy. 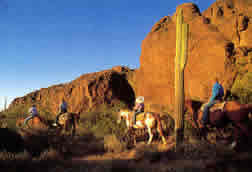 Visit www.whitestallion.com for further details on the Dude Ranch! View everlasting memories of the week’s previously held course. Watch Anna’s Explanation of Animal Communication on YouTube! I don't think I even told you how I came to see him!!! by no means a baby, but not a big guy either! 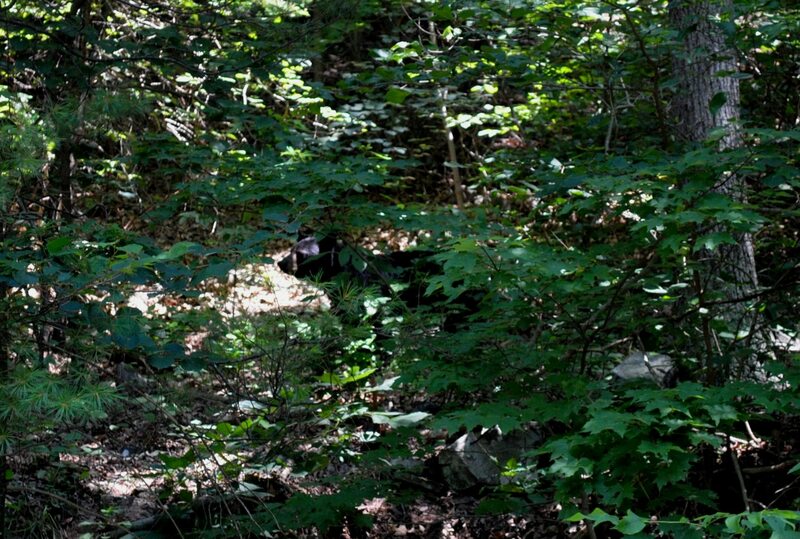 if I could see him go up the hill, but instead he stopped!!! the road for several minutes talking to him and taking pix!!! more relaxed and curious and his breathing was better!!! So anyways, I knew he was there for me! Otherwise I think he would have run off! I really felt honored he let me get some pix! 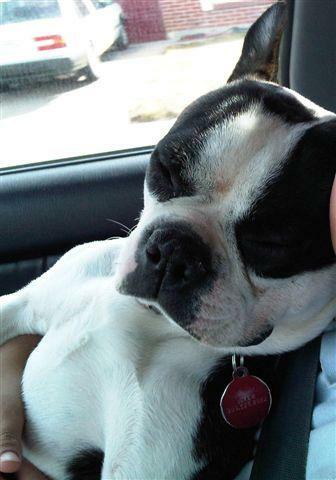 Please help us help Mindy find her missing Boston Terrier, Joker. He went missing on May 18th, from Xanadu St. in Denver. He had a brown canvas collar with a red name tag. There is a firehouse on one side of the tag and his name and number on the other side. above or email us A.S.A.P. at info@reachouttohorses.com! 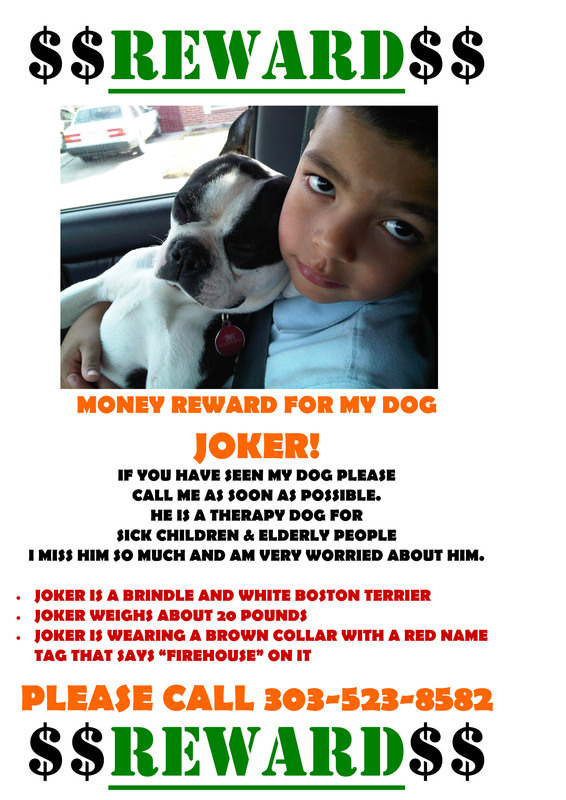 Joker is a beloved member of the family and the community that he serves and we want to see him get back home, safe and sound. Just wanted to thank you for the session today, put a lot of things into a better perspective for me with him. The connection of him and my dog is really remarkable, they are so alike in personalities. I rode Cowboy today on the trail bitless with Jill and he did really well with it. He responded as well as having the bit in his mouth and I felt comfortable too. I laugh every time I think of you holding your hands like a little cup and him talking about his grain; funny guy. We both have been more relaxed with each other on the ground too; still some work for me there but easier to cope with! As always, thank you for the work you do and I will be in touch. Our friend Mindy has reported that Joker went missing from Xanadu St. Denver, Colorado. He was last seen wearing a brown canvass collar with a red name tag. Firehouse was on one side of the name tag and his name and number was on the other side. 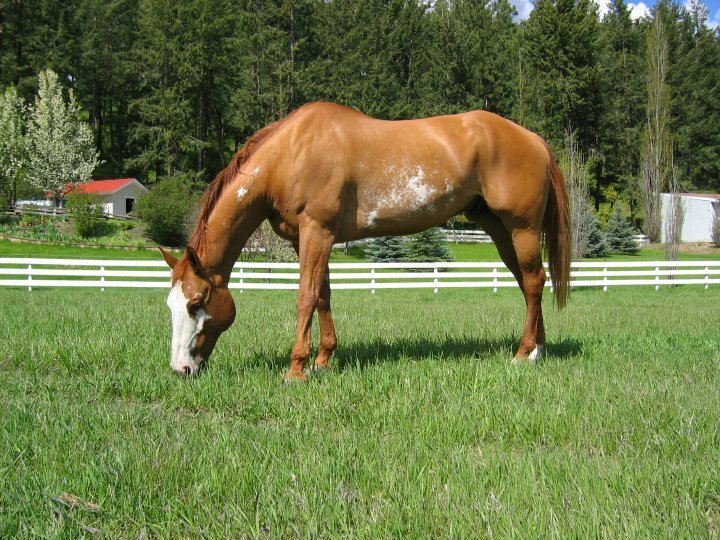 If you have any information regarding Joker please contact us by posting here and through the contact information at http://www.reachouttohorses.com.